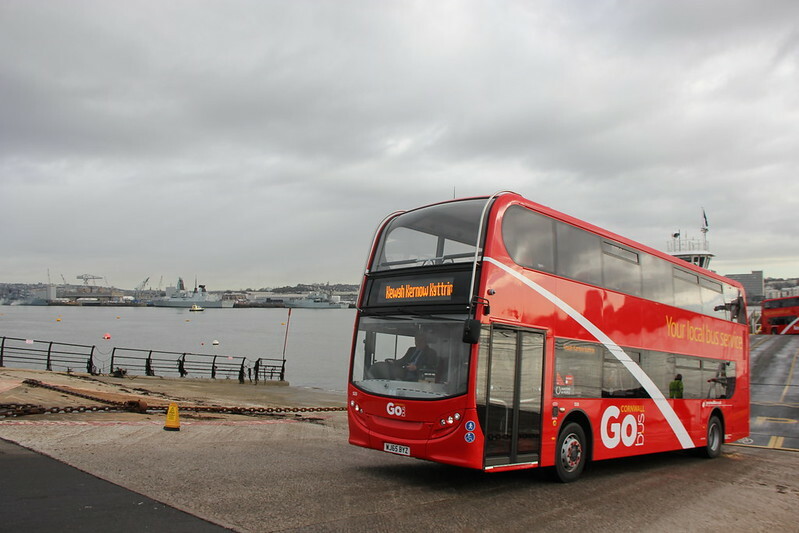 I wasn't able to make it over myself but thanks to James Church, Assistant Commercial Manager at Plymouth Citybus I can bring you these pics from yesterdays launch of the new Go Cornwall buses on the Torpoint Ferry. Shame they're not Navy Flash, LOL! Might have looked like P&R buses, though! And there was me looking forward to Battleship Grey Flash! Never mind - they look smart, although I haven't checked the Cornish grammar. Saw PCB 430 travellling North on M5 going over Avon Bridge yesterday. Is there a Cornish spell checker for my pc? Come to that, is there an English one for yours??? One seen today working 5/5a... Not quite Cornwall! It was 531, which has been rebranded. Excuse the ignorance, but what does Kewgh and Kyttrin mean? You can work it out by looking at the other side of the bus. To Anonymous at 20:25 - you might be surprised. In the UK 2011 census 557 people claimed Cornish as their main language. It is increasingly taught in Cornish schools and many adults are also learning the language. The language is also considered an important part of Cornish heritage, culture and identity; is a recongnised minority language in the UK and is protected under the European Charter for Regional or Minority Languages. In 2010 UNESCO declared that its former status as an "extinct" language was no longer considered to be accurate. I think you have slipped a decimal point or something here - the population of Cornwall is plus-minus 500,000. The language has been consciously reconstructed and reintroduced and the number of people able to speak it is increasing. Agreement has now been reached between a number of factions, so one version of the language is promulgated by all and a standardised spelling has been adopted. The differences of opinion arose from views on whether Middle Cornish or Late Cornish (into the 1700s) should be the norm. The language has, incidentally, more in common with Breton than Welsh - and Breton never completely died out despite strenuous efforts by the French government; it is now growing. Odd words do still crop up - I was interested, when I was teaching, to hear a boy (from Lewannick) use the word 'bal' for 'dig'. I just hope Citybus got their translation from the Cornish Language Board rather then looking up individual words and stringing them together. How many speak English is open to debate too! Is there a reason why all the words are capitalised in the 'Agas Gonis Kyttrin Leel'? Is that how Cornish works? No, Cornish does not work like that. They should not be capitalised. 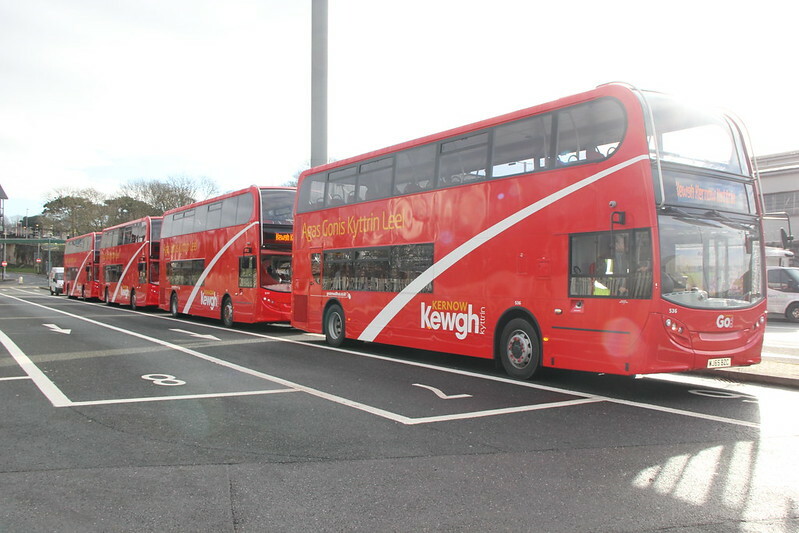 I like the Kewgh Kernow Kyttrin swoop and it looks good on these buses. One of my more evil thoughts here. 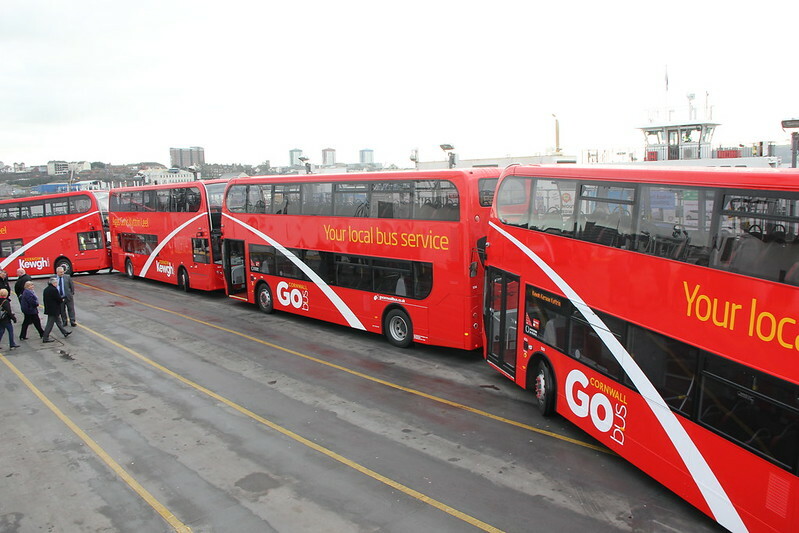 Are Citybus going to require all the drivers on the "Cornish" buses to, at the very least, be able to say "Good Morning", "Good Afternoon" and "Thank You" in Cornish?. What, and confuse/alienate most of their passengers? Hardly!